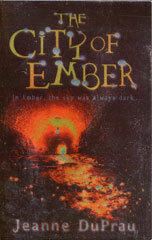 The City of Ember is built to last, but the once bulging store rooms are empty now. What will the people do to help themselves? Can the people from the City of Ember find a place to settle and live at peace with their neighbours?